This will certainly hit the spot and satisfy on a cold day. Using a mushroom stock really enriches the ‘gravy’ and gives it the umami kick. 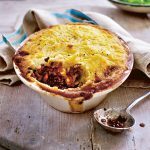 Make sure you really caramelize the diced carrots and parsnips – you’ll reap the benefits with flavour. Heat the oil in a large, heavy-based pan. Add the onion, season with salt and pepper and cook on a low to medium heat, stirring occasionally, for 2–3 minutes until softened. Add the garlic and cook for a minute more, being careful not to burn the garlic. Now add the carrots and parsnip, add a drizzle more oil if needed, turn the heat up a little and cook for 6–8 minutes until just starting to turn golden, stirring so they don’t burn. Add the lentils, turning so they soak up all the juices. Add the bay, the rosemary, if using, and the nutmeg and cinnamon and stir well, then stir in the tomato purée/paste and wine, raise the heat and let it bubble for a couple of minutes. Add the tamari and stock, give it a final stir, then put the lid on and let it simmer away for about 30 minutes, or until the lentils are softened and a lot of the liquid has been absorbed. If it starts to dry out too much, top up with a little hot water from the kettle but be aware that the more you add, the more you are diluting the flavour. While the lentils are cooking, make the topping. Put the potatoes and parsnips in a pan of salted water and bring to the boil. Turn the heat down and simmer for 15–20 minutes until the potatoes are fork tender. Drain well, then return to pan. Add the olive oil spread or margarine and mash well until there are no lumps, then pour in the almond milk and mash again until creamy. 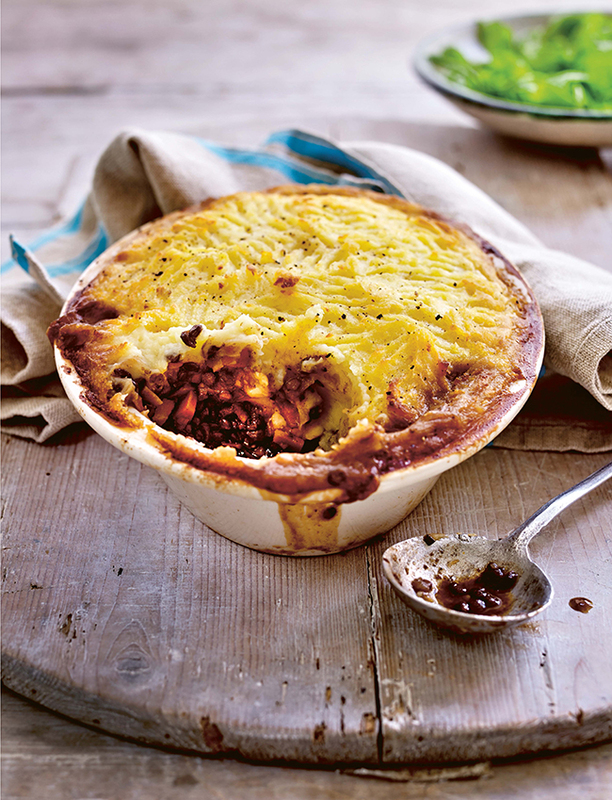 Ladle the lentil mixture and all the sauce into an ovenproof dish, then spoon the mash over and even out with a fork. Dot with margarine and bake for 25 minutes, until bubbling and piping hot. Serve alone or with some delicious greens. 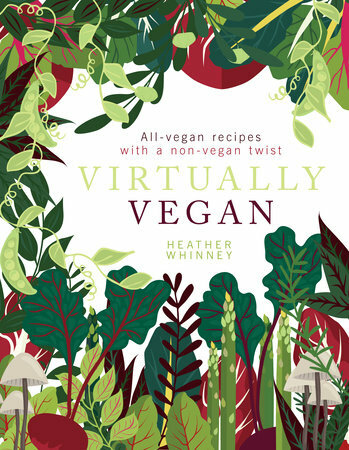 Recipe taken from Virtually Vegan by Heather Whinney, published by Nourish Books.